Getting old feels like the end … especially for Margo. She’s worked hard to build her career and her life with husband Lars. But her 30th birthday isn’t what she planned. Already late to her own party, she and Lars quickly eat the last of the food before greeting guests. In hindsight, the crab salad may have been a little off … Apparently WAY off! Now they must start over in the after-life. But before they can rest in peace they must find a house and help the occupants. With the help of a celestial guide, they view three houses. There’s the far-out beach bungalow with equally far-out residents, the retiree craftsman with a ghost already in residence, and the rental that needs a lot of TLC. Which one will they choose? In the end, Lars and Margo gain forgiveness, and a whole new perspective on what’s really important. 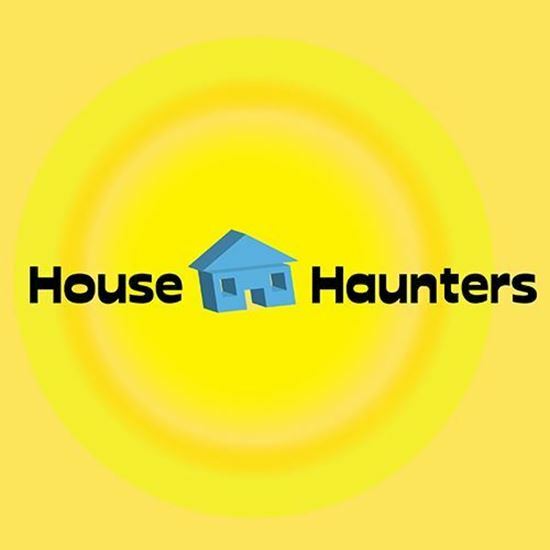 Playwright Craig Sodaro Talks About his Play "House Haunters"
I have watched a lot of episodes of House Hunters and House Hunters International, mainly because I like to see the way people live, not only in this country but all over the world. I thought it would be fun to use the format of the show, but turn the whole idea upside down and have the hunters turn into haunters. What's your favorite part or line in the play? Why? I like the last house segment the best. Kids are always a lot of fun because they’re generally so much more honest in their actions than adults. They also bring out the best in Margo and Lars. I have no idea where characters really come from, but in thinking about a play, a picture of a character gradually begins to form in my mind. After a while, the character begins to think and act in a certain way and, crazy as it seems, they begin to write the play. I’ve got a plan, but sometimes they just don’t obey and head off in a different direction. It’s fun to see the final result. First and foremost, I’m trying to make the audience smile and laugh and enjoy a very improbable story. But there’s also another layer to the story in that Lars and Margo learn some important truths about life and themselves by the end. In a sense I’ve been able to tell a few of the things I really consider important in life.